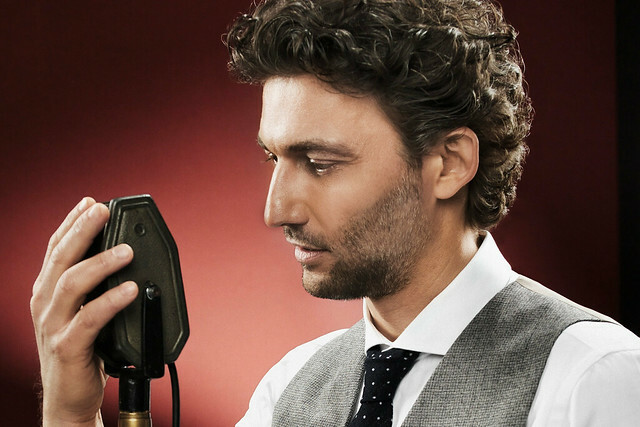 Kaufmann is back at the Royal Opera House this summer to sing the title role in The Royal Opera's major new production directed by Keith Warner. In the years since his Covent Garden debut in 2004 in Puccini's La rondine, he has become a firm audience favourite and much in-demand around the world. Why then, has he waited until now to tackle one of the repertory's top roles, and why has he chosen to do so in London? 'I can’t tell you exactly the amount of offers I got for this part... You need an enormous amount of experience. It’s not so much the technical side of singing the role, but the challenge of losing yourself in the craziness of this character and pushing yourself to a limit where your voice might be harmed. I waited very long and I finally realized, "If I don’t do it now, when then?". It has to be done under the best possible circumstances. The Royal Opera House has always been a place where I’ve felt very at home and the acoustic is good – it's not too big but still has a glory. 'I’ve been asked many times if I would change for a live relay and I always answer "Not a hair". I've experienced both being on stage and being in the audience. I can see immediately if someone is honest on stage or not – not only in opera but in all art forms. Acting isn't pretending to be someone, acting means slipping like a glove into this character and just living it. Brilliant, can't wait to see the opera. Fortunately I have a ticket. I saw Mr Domingo play the role it was memorable. However I think Mr Kaufman will bring his own brilliant, intense vocal and acting genius (which thrills us opera lovers) to this performance. We send him love and good luck for a huge success. We do realise the huge pressure he is under but hey he loves opera he can handle it. The ROH is behind him .... say no more. I have two tickets for relay. It's not enough for me to see it once. I wish I were right there, but this is the next best thing. I wish him the best for a wonderful and thrilling role. I am grateful for this chance to hear his gifts at work with Verdi and Shakespeare, and Pappano, the cast and the orchestra. I have a ticket to see the performance at the cinema on the 28th. It is a shame that Tézier cannot make it, but I am sure that Kaufmann will be brilliant. I'm counting the days! I find the perfect way to get the maximum enjoyment out of these superb productions is to see the screened version first with Antonio Pappano and Josef Kaufmann's master-class notes and then go to the live production. Last years Norma, with Sonya Yoncheva was the most thrilling performance I have ever experienced. I have ticket for 21st, June. I remeber Pavarotti in this role, but Jonas Kaufmann is superb and I'm very happy to assist his performance . I send Jonas Kaufmann, Maria Agresta ( I konw very well her "teacher" Raina Kabaiwanska) and the marvellous Pappano good luck and success !! !